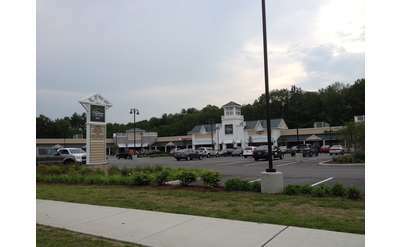 The Lake George Outlets -- Great Shopping At Factory Outlet Prices! If you love to shop 'tll you drop, then the Lake George Factory Outlets are a destination you won't want to miss. Located off the Adirondack Northway (I-87) at Exit 20, the outlets are just a short drive south of Lake George Village along Route 9. While this entire half-mile strip is referred to as "The Outlets", there are currently four (or five, depending on how you count!) 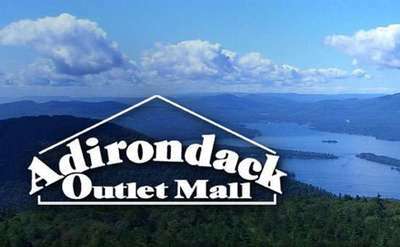 distinct centers: Adirondack Outlet Mall, French Mountain Commons, Log Jam Outlet Center and The Outlets at Lake George East and West. Combined, there are currently over 50 great stores located in one central location with even more on the horizon as the expanded West Center of The Outlets at Lake George completes construction. 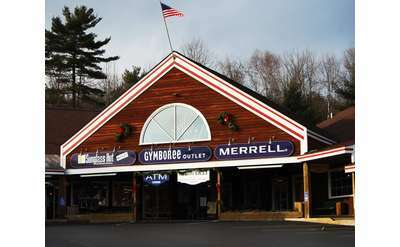 French Mountain Commons, one of the centers at The Factory Outlets of Lake George, features brands like Gap, J.Crew, Banana Republic, Tommy Hilfiger, Gymboree, and Sunglass Hut. The Outlets at Lake George East and West features more than fifteen brand name retailers including Coach, Asics, Adidas, Polo/Ralph Lauren, Levi's, Van Heusen and more.